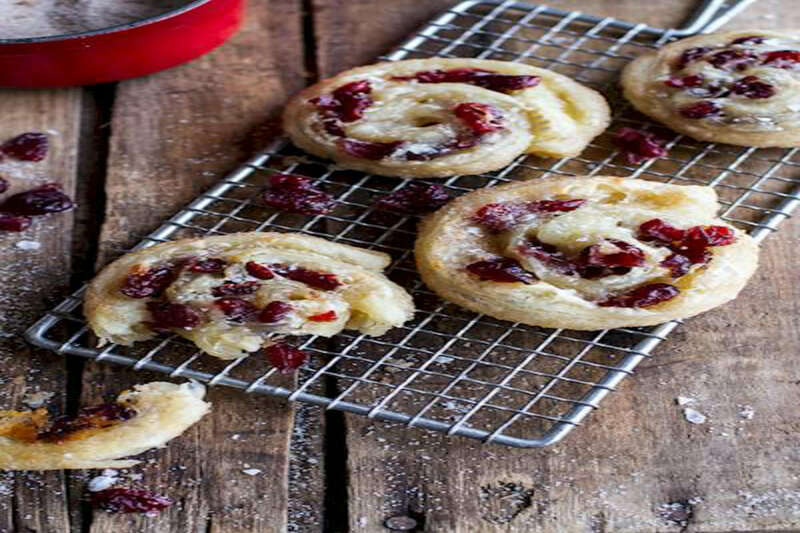 These pretty pastries are the perfect blend of sweet and tart thanks to their dried cranberries, brie cheese, and cinnamon sugar. For festive holiday meal ideas, try serving these as a tasty appetizer or succulent dessert at your big family celebration. RecipeSavants.com These pretty pastries are the perfect blend of sweet and tart thanks to their dried cranberries, brie cheese, and cinnamon sugar. For festive holiday meal ideas, try serving these as a tasty appetizer or succulent dessert at your big family celebration. Smart Recipes, American Recipes, Dairy Recipes, Recipes Dairy American Cranberry Puff Pastry Swirls PT30M Serves 6 Ingredients: 8 Ounces Soft Brie Cheese 4 Tablespoons Butter 1 Cup Dried Cranberries 0.25 Cup Cinnamon Sugar Preheat your oven to 350 degrees F and line a baking sheet with parchment paper. Lightly flour your work surface and unroll puff pastry on to it. Brush 1 tablespoon of butter over puff pastry and then dust generously with cinnamon sugar, about 2 tablespoons. Spread puff pastry with cheese and sprinkle with cranberries. Roll the puff pastry starting at long end, as tightly as you can. Brush with remaining butter and sprinkle with remaining cinnamon sugar. Use a dental floss to slice the roll. Starting half inch from one of the roll ends wrap the floss around the roll, keeping each of the floss ends in each hand. Then pull tightly until the floss comes out of the roll and roll is sliced. Repeat with rest of the roll. Place roll slices over the baking sheet and bake for about 12 to 15 minutes or until pastry is golden. Let cool a little before serving.